What’s the big deal about National Signing Day? Oh my gosh! Tomorrow is National Signing Day!! 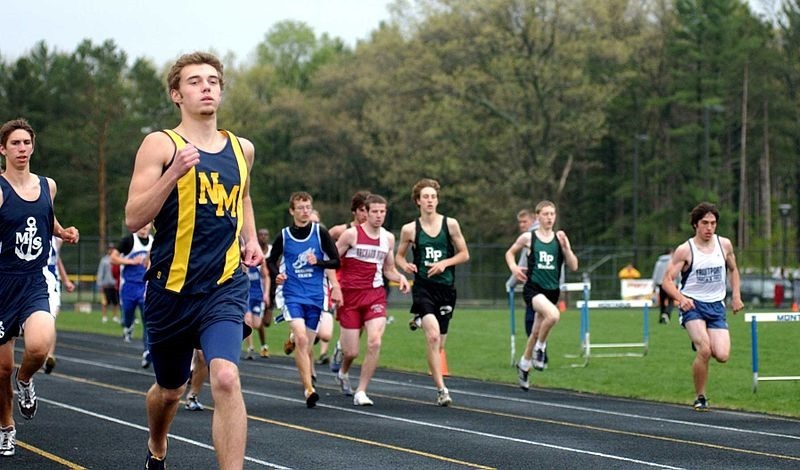 On this day, high school runners sign their National Letter of Intent to run Track & Field/Cross Country in college ( and a few other sports like Football, Soccer, Field Hockey and Water Polo to be exact). In the school district I live in, National Signing Day is a big deal, with media coverage and parents and coaches and lots of people watching you sign on the dotted line. ESPN even has a full day of coverage of the football signings on ESPNU starting at 8 AM. And Signing Day IS a big deal. For many teens, this is the first contract they’ll sign. And it’s a binding agreement between the student-athlete and the college. In short, you agree to attend the school you sign with for one academic year. In return, they give you a scholarship for that academic year. So say you’re offered a scholarship at University of Georgia and you sign your letter of intent tomorrow. Then in May, you decide you really, really, really want to go to University of NC instead, well – you’ll have to sit out one year of competition and you lose a year of eligibility. Losing a year of eligibility can be huge for some athletes and not a big deal for others. There are similar penalties for transferring schools. When I transferred from Rutgers to Villanova, I wasn’t released to compete for Villanova so I had to sit out a year. Luckily I didn’t lose a year of eligibility, so I graduated on time and was able to compete my fifth year and do the majority of my coursework for my Master’s degree. Essentially I was on scholarship for a Bachelor’s and a Master’s!! Cool right?! So even if the school you initially think is THE school for you, things may change. You may change. However, you do have options. Just try to stay within the NCAA guidelines so you don’t lose any eligibility. To all those high school seniors signing their NLI’s tomorrow – good luck in the next chapter of your athletic careers. Enjoy your moment, because it’s totally a BIG deal. You’ve earned it! !